The Union Public Service Commission declared the final results of the Civil Services examination 2016 on its official website. Candidates can check the results by clicking here for the complete list of candidates who have qualified. Karnataka girl Nandini KR has topped the civil service exam 2016. Nandini belongs to the OBC category. She qualified with Kannada Literature as her optional subject. She is a civil engineering graduate from MS Ramaiah Institute of Technology in Bangalore. The topper was quoted as saying that she always wanted to be an IAS officer. There were 2,961 candidates qualified for the personality test and among them as many as 1,099 candidates have been recommended for various government services. There are 220 other candidates in the waiting list. AnmolSher Singh Bedi is overall ranked second in the merit list. A computer science graduate from BITS, Pilan, Anmol has achieved the feat in the first attempt. He is the topper among male candidates. Anmol said he will go for the Indian Foreign Services. ”India is growing by leaps and bounds. I want to play a pivotal role in it.” He added, “I used to study around eight hours a day and didn’t stick to any particular strategy but just remained consistent. he said. Gopala Krishna Ronanki, who is ranked third. He is the son of RonankiAppaRao, a farmer from Parasamba village in Srikakulam district of Andhra Pradesh. Ronanki is a pharmacy graduate from Vizag and did his MBA from Niper, Mohali. He did his schooling in Telugu medium and appeared for the UPSC interview in Telugu. His optional in Mains was Telugu literature. SaumyaPandey who is ranked fourth is a gold medallist from the prestigious Motilal Nehru National Institute of Technology (MNNIT), Allahabad. Saumya was the CBSE district topper in Class 10 from Army School in 2009 by securing 98%. She repeated her performance in Class 12 from the same school and was again district topper in 2011 with 97.8% marks. At MNNIT, Saumya completed her electrical engineering with a gold medal in 2015. Saumya had opted for Geography as an optional subject. Abhilash Mishra and Kothamasu Dinesh Kumar are ranked fifth and sixth in the toppers list. 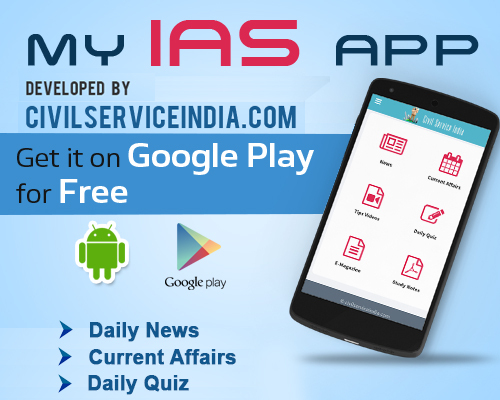 As many as 180 successful candidates will be appointed in the IAS, 45 in the IFS, 150 in the IPS and 834 in other central group A and B services. Among the top 25 candidates comprise of 18 men and seven women. Paper 1. 100/ ? Paper 11 80/? Can somebody help me by telling that which books I should read for the preliminary examination of the IAS?